The new concept of metamaterial is increasingly attracting the interest of physicists and mechanical engineers. Such materials are obtained by suitably assembling multiple individual elements but usually arranged in (quasi-)periodic substructures in order to show exotic global mechanical properties. Indeed, the particular shape, geometry, size, orientation and arrangement of their constituting elements can affect, the propagation of waves of light or sound in a manner not observed in natural materials, creating material properties which may give rise to unexpected engineering applications. Particularly promising in the design and description of metamaterials are those micro-structures which present high contrasts in their mechanical properties: these micro-structures, once homogenized, may produce generalized continuum media, for example, second gradient or micromorphic. Many scientific challenges related to the application of generalized continuum theories to the characterization and conception of high-performance metamaterials can be identified. 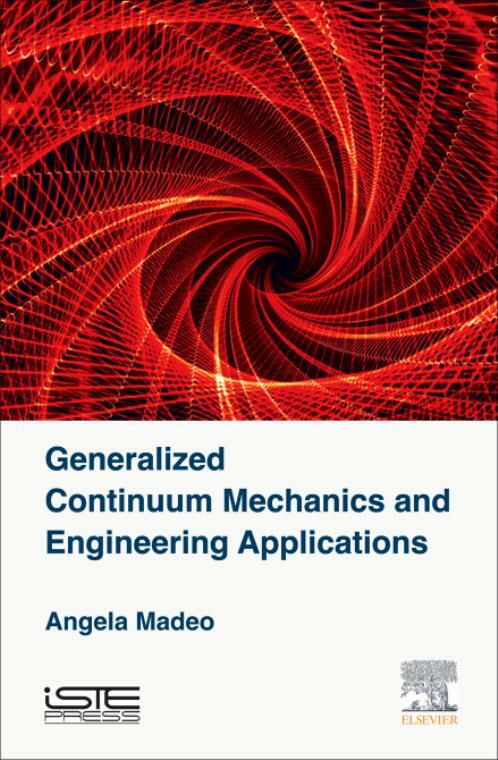 In this book we identify and discuss four main potential fields of applications of generalized continuum theories, namely, mechanical behavior of fibrous composite reinforcements, wave propagation in metamaterials, mechanical behavior of concrete and mechanically driven remodeling of bone in presence of bio-resorbable materials. For each field, we underline how the use of a generalized continuum theory can be of help for describing how the presence of microstructure can affect the global mechanical behavior of the considered metamaterials.